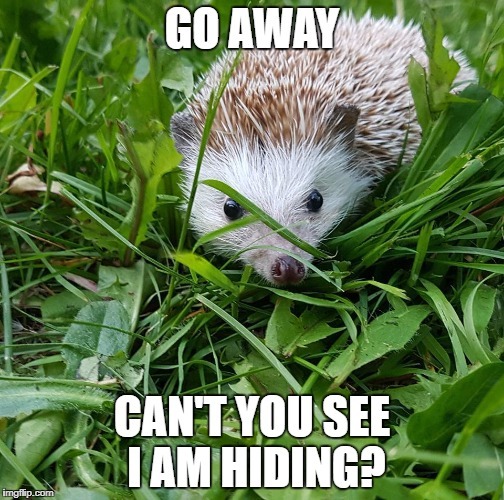 1. you don't say when you are hiding. 2. you don't show where you are hiding. Remember how I hide… i did it for 3 weeks… and you thought what you thought i was doing… but I did what I was DOING….i see your jokes… but you see neither my jokes, nor my seriousness. I ask My FATHER YAHUAH through MY KING YAHUSHA for you to really get IT. GO AWAY; CAN'T YOU SEE I AM HIDING?